If you want beautiful, high-quality curtains or shades, you've probably considered going custom. Unfortunately, made-to-measure window treatments are usually expensive. 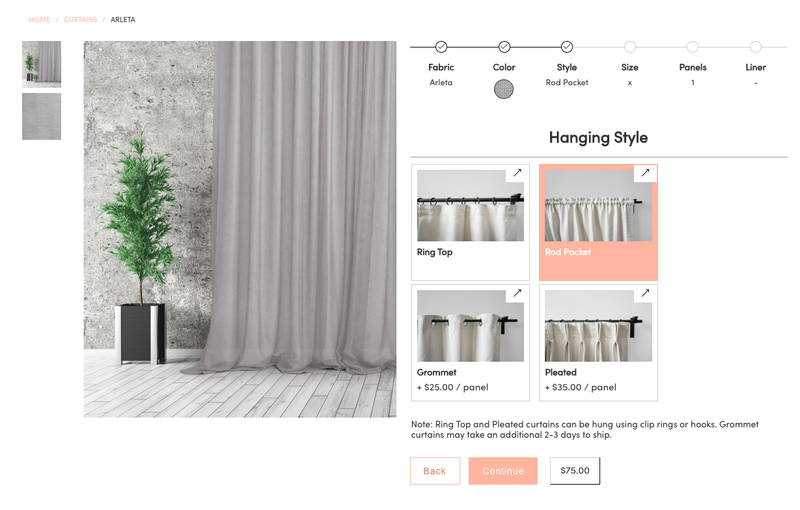 Mesken is a new home startup letting shoppers customize and order their own curtains and shades for a fraction of traditional prices. Its products are made in Istanbul, known for its rich history of home textile-making, and you can order five swatches for free before making a decision. The easy-to-navigate site helps you make measurements and guides you through every step of the process. Even if this is the first time you're ordering custom curtains, you'll feel confident about the final product, which is delivered in 10 days or less. Bedding, furniture, and kitchenware have all been the subjects of successful direct-to-consumer startup stories in recent years. Once considered overlooked categories in the home goods space, they've found mainstream success among shoppers looking to upgrade their homes for less. So at this point, what home goods are truly overlooked? Chances are you haven't thought positively, if at all, about your curtains in a while. Window treatments aren't the first home product I want to shop for (even the term "window treatments" inspires little in the way of excitement) but like a beautiful area rug, they make a huge difference for how your space looks and feels. It's too bad that current options fall into two buckets: ready-made curtains and shades that are a struggle to install and never seem to fit correctly, and made-to-measure ones that cost thousands of dollars. Mesken is one of the first home startups we're seeing to address this long-ignored problem. It's founded by Alper Bahadir, a former McKinsey consultant who was born in Turkey and wanted to strengthen his connection to Home-with-a-capital-H and your relationship with your own home. At Mesken, you can shop custom curtains and shades at prices 50% to 70% less than traditional brands and have them delivered in seven to 10 days. 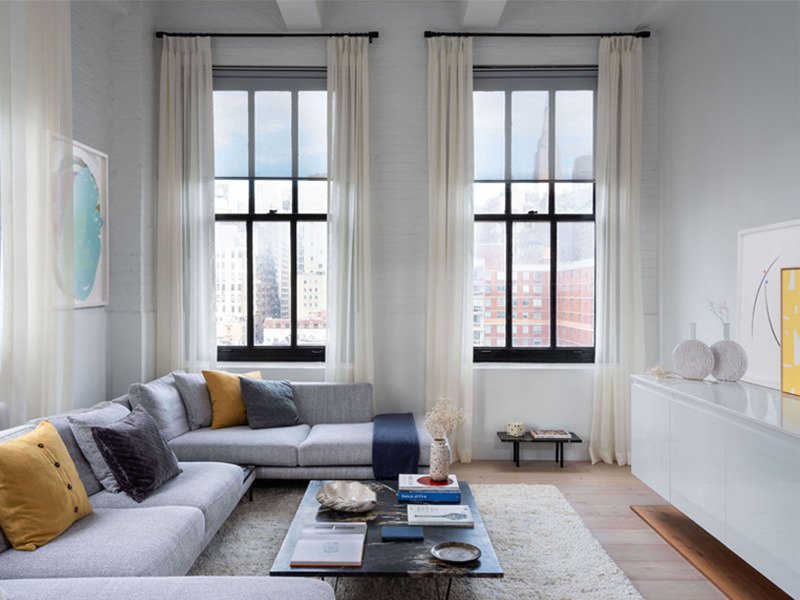 While the company is based in New York City, its manufacturers are located in Istanbul, Turkey and have generations of experience crafting high-quality home textiles. There are certain industries where we've been conditioned to think you can access quality only if you pay a very high price, because everything else around that product or experience is already very expensive. The wedding and home industries are probably the two worst offenders. When you've already spent a fortune buying or remodeling a home, another $20,000 for drapes starts to look normal. 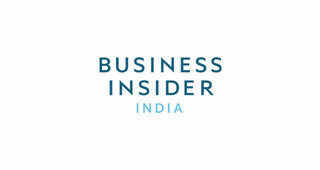 I think this has led the industry to be complacent and opportunist. Why bother innovating to make things more affordable if you don't have to? The innovation at Mesken is this: curtains start at just $65, with the most expensive options, made from linen, starting at $195. Shades start at $80, with the most expensive options starting at $120. You can customize nearly every aspect of these window treatments on Mesken's well-designed site. Here's how the customization and ordering process works for Mesken's curtains. You can choose from a variety of solid or sheer fabrics, including 100% linen, linen blends, viscose blend, light weight, and thick weave options. Each fabric is available in numerous colors. Some, like the textured, medium-weight Bowery (from $90) are available in more than 30 colors while others have fewer color options. If you want to see and feel the fabrics first, you can order up to five swatches for free. Then, choose your hanging style: ring top, rod pocket, grommet, or pleated. The grommet and pleated styles have an additional cost per panel. Enter your curtain measurements, or use the site's helpful measurement guide. If you've never ordered your own curtains before or just want to double-check your own measurements, we recommend using the guide. Finally, add optional privacy or blackout liners, and adjust the number of panels if necessary. Here's how the customization and ordering process works for Mesken's shades. 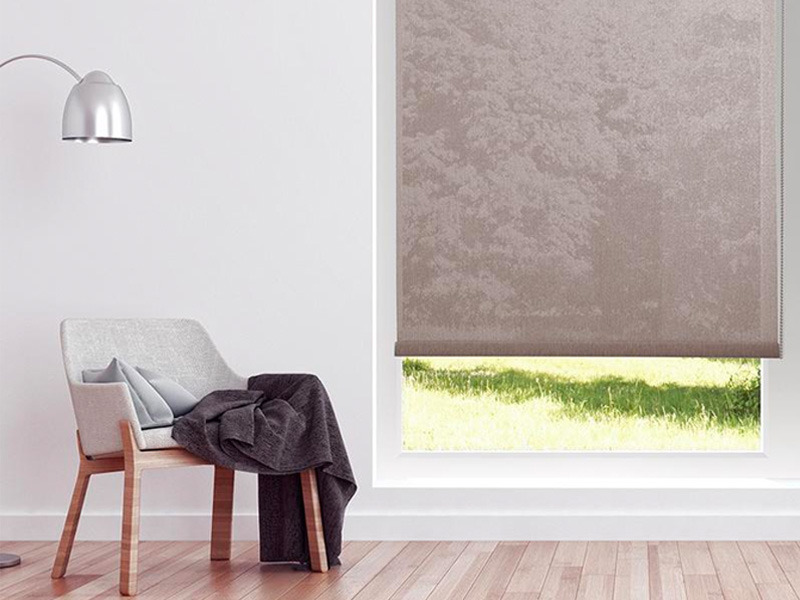 Mesken offers roller, blackout, solar, and zebra shades in a small selection of colors. Likewise, you can order free fabric swatches. You're in control of the hanging position, casing, and cord type, and the site will guide you with tips and measurement guides throughout the whole customization process. In 10 business days or less, your custom curtains or shades will arrive at your door with the necessary hardware and instructions to install them. 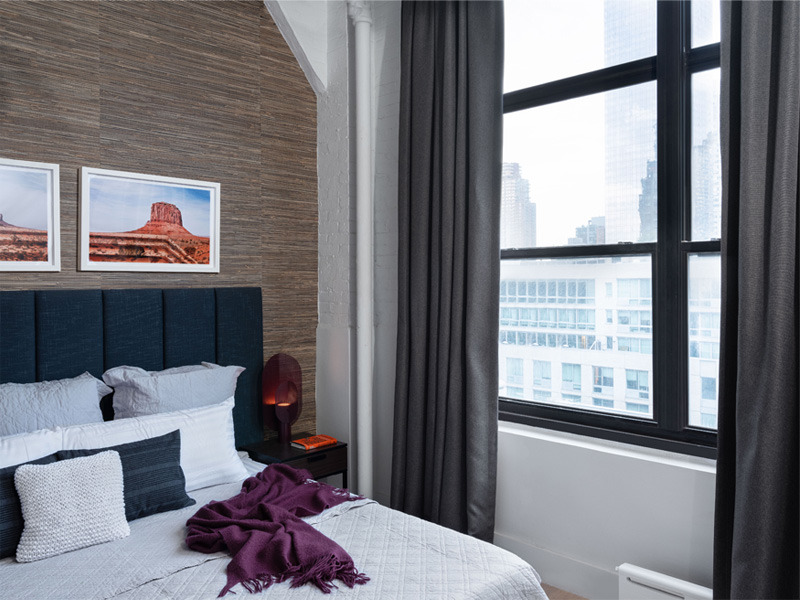 They're designed for easy installation, and since they're perfectly cut to your window, you'll never be stuck with curtains that are just an inch too short, long, or wide. As a singular concept, finding the right curtains for your home and not overpaying for them seems manageable, but when stacked on top of every other home improvement and decorating task, it's an aspirational feat for an aspirational product. Mesken goes beyond the aspirational, to the realistic, accessible, and shopper-friendly. 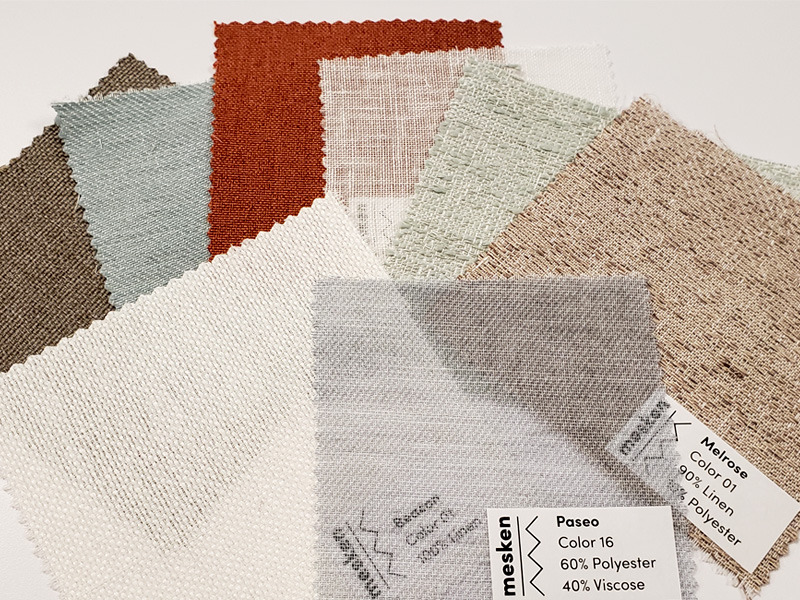 Shop custom curtains and shades and order five free swatches at Mesken here.